It used to be a rarity to hear of a dog being shot by a law enforcement officer. Not any more. Something has happened in our culture and our law enforcement communities that has caused an exponential increase in tragic incidents such as the one that occurred on September 12th at a crowded street festival in Washington DC. On that afternoon, Officer Scott Fike shot and killed Parrot, a Pit Bull/Shar-Pei mix who was attending the event with his foster caretaker. Other recent cases from the Police-Killing-Dogs Hall of Shame include Bear-Bear, a Siberian Husky who was shot by an off-duty federal police officer for engaging in what was probably rough play between two dogs at a dog park, or at worse a normal, non-serious “scuffle” between two dogs,” and the killing of two Labrador Retrievers in their own home; the home of the mayor of Berwyn Heights, Maryland, when police officers served a search warrant at the wrong address. Dr. Randal Lockwood of the American Society for the Prevention of Cruelty to Animals says he sees 250 to 300 incidents per year in media reports, and estimates another 1,000 aren’t reported. That’s more than three per day. Three per day!!! What is wrong with us??? 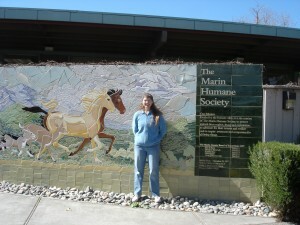 I worked for 20 years at the Marin Humane Society in Novato, California, just north of San Francisco, for much of that time as a humane officer enforcing humane and animal control laws. I can’t recall one single incident of a dog being shot by a police officer in our county during that two-decade span. I also edited and published a quarterly newsletter the (C.H.A.I.N. Letter) for animal protection professionals for 13 years, ending in 1999. Pre-Internet, we compiled and published animal-law-enforcement news from around the country (and the world) and if we came across three or four dog shootings a year it was a lot. On the rare occasions when a dog shooting did happen there was inevitably a huge uproar with considerable attention from the media. Today, cops shoot and kill dogs around the United States multiple times daily and it hardly causes a ripple. Let me repeat that. Today, cops shoot and kill dogs around the United States multiple times daily and it hardly causes a ripple. Most of the time not much is said about it – it certainly isn’t often picked up by national news. So what has changed? Several things. Popularization of the Pit Bull. When I started working at Marin in 1976, we never saw a Pit Bull in a shelter. Ever. In those days the only people who owned Pit Bulls were dogfighters, and they weren’t about to let their dogs end up in shelters. Nor were they foolish enough to breed dogs who would attack people. Heck, they had to be in the pit with dogs who were fighting each other, and they had to separate them when they were fighting. The last thing they wanted was a dog who would bite a human. If one did, he was taken behind the barn and shot. 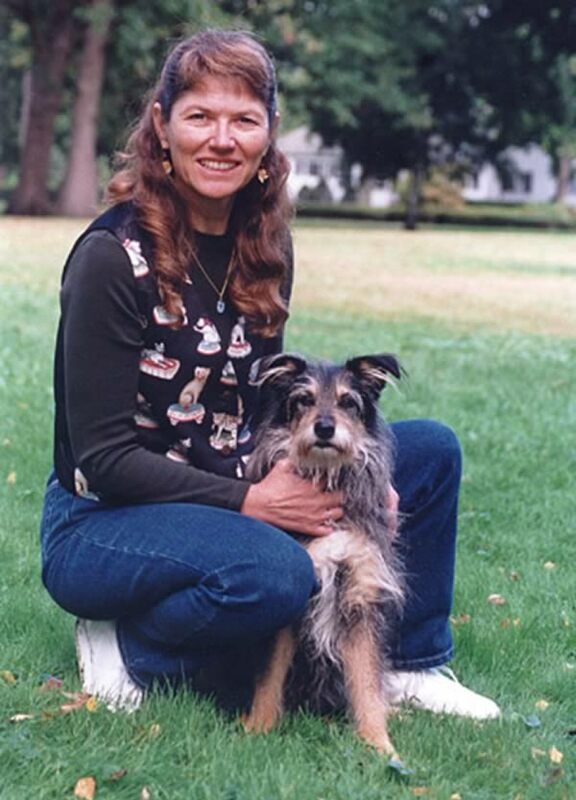 Then, in the 1990s, The Humane Society of the United States launched a campaign to make dogfighting a felony in all 50 states, and in their efforts to educate the public and legislators about the brutally cruel “sport” they glamorized the breed – and people started wanting them; some responsible dog owners, for the right reasons, but a lot of irresponsible ones for all the wrong reasons. Shelters started seeing a trickle, then a downpour, and finally a flood of Bully dogs, until today almost every full-service shelter in the country often finds a preponderance of Pit-type dogs in their kennels. Many other large, strong breeds – like the Rottweiler, the Cane Corso, the Presa Canario, the Boerboel, and the American Bulldog – were also extremely rare in this country until the 1990s and later. Now they are common. Law enforcement officers in general seem to be exceptionally phobic about the Bully breeds, or dogs who appear to have even a remote possible relationship to a Bully breed. Two decades ago you never saw a Pit Bull on the street or at a shelter. Now they are everywhere, and are, sadly, one of the breeds most commonly found at many shelters. Sensitization of Our Society to Dog Bites. In the “good old days,” if a dog bit a kid, Mom usually asked Junior what he did to the dog that he shouldn’t have. Today she calls Animal Control first, then her attorney. In the “good old days,” dogs ran loose a lot, everyone accepted that dogs were a part of life, that dogs sometimes bit people, and it was no big deal. Plus, because dogs ran loose a lot, they were better socialized and probably less likely to bite people. Today, with a marked increase in responsible dog ownership, dogs don’t run loose so much, they aren’t as well socialized, and the population of humans as a whole is a lot less comfortable, and a lot less tolerant, of dogs doing what dogs do. Dog Mauling and Dog-Related Fatality Statistics. In the mid 1990’s, an average of 20 people per year were killed by dogs in the U.S. In those pre-pit-popularity days, dogs most often implicated in serious dog bites and dog-related fatalities were breeds like Huskies and German Shepherds – medium-to-large dogs who lacked the sheer bulk and determination of many of the Bully types. In 2009, depending on whose numbers you believe, there were 32 dog-related fatalities in this country; fifteen of the deaths were allegedly caused by Pitbulls or Pit mixes and three by Rottweilers or Rottie mixes. (I say “allegedly” because there are people who insist that there is a rampant problem of reed-misidentification in dog-fatality cases – not a point I want to argue here, but I don want to acknowledge the point.) This year so far, with 24 fatalities on the books and three months to go (projecting a total of 32-ish again this year), twelve of the deaths were caused by Pits; four by Rotts; and one by an American Bulldog. That’s 56% in 2009 by what some call “high-risk” breeds, and a staggering 75% so far in 2010. Although 32 deaths is miniscule in a country with a population of more than 310 million, in which an average of 92 people are killed by lightning annually; 15,500 by murder (by our own species) and 42,000 in car accidents, still, people get incensed over dog-related fatalities. Lack of Community Outrage. In the end, the police work for us. We the People. If we don’t get outraged over cops shooting dogs, they can reasonably take that as a statement of public support for their actions. I think back to all the aggressive dogs I managed to handle during my animal protection career without ever shooting one – and without ever being badly bitten (one minor bite in 20 years… but that’s another story). I carried a gun for the sole purpose of dispatching badly injured wildlife, and it never even occurred to me to point it at a dog. My trusty control pole was all I ever needed to protect me from the ravages of flashing canine teeth. So… let’s get outraged. For starters, sign the petition that urges disciplinary action against Officer Scott Fike for his inappropriate use of deadly force against a dog who had reportedly already been subdued prior to his arrival on the scene. But let’s go farther than that. We need a grassroots campaign that insists our law enforcement officers be trained and equipped to appropriately and non-lethally handle situations in which dogs are involved. Call your own police department tomorrow to inquire about their department policies for handling dogs, and to ask if their officers are equipped with and trained in the use of humane canine capture equipment. Then ask three of your friends to call, and have them ask three of their friends. Get it started. Perhaps Parrot’s death can have some meaning after all. Thanks, Pat, for blogging on this and proposing sensible and needed action against this kind of institionalized cruelty. I follwed the DCist blog shortly after the shooting was reported, and out of almost 40 comments of eyewitnesses only one- a retired cop- said he’d seen a dog potentially endagering anyone. EVERYONE else saw a dog who’d been subdued after an altercation with another dog- and Officer Scott Fike come and pin the dog down , choking him with his knee ( pix are available), then throwing him down the basement entrance of the Brass Knob- a store I know, and it’s a 10 foot fall- then shooting him. It says a lot that this is the same guy who poses proudly on Facebook with the deer he just shot dead- so much for the value of life. propagating the use of violence to subdue “dominance”in dogs, of which the brutal pinning down is a classical example. . That’s it’s why all the more important to promote POSITIVE dog management and training knowledge amongst police officers, based on solid learning theory and ethology- not the old fashioned opinions of coercive “trainers”. As a resident of the Adams Morgan neighborhood where the shooting took place (although it happened before I showed up at the festival), I am utterly appalled that this occurred. Signed. Way to go, Pat! I’m outraged! Although I do have to add one thing. As the owner of a reactive dog, I wonder whether it was a good idea to take a foster dog to such a crowded event in the first place. Nonetheless, shooting the dog was NOT the answer…. I’m all for taking your dog out for a walk or an event. But owners need to be incredibly mindful of their dog’s limits. I have two dogs. One is a skittish German Shepherd m…ix, and I would never dream of taking her to an event like the Adams Morgan festival. The other is a lab, who probably would have been just fine there. But even for the lab, a crowded urban event can be stressful. As our population grows, our neighborhoods become more urban and congested. When we want do more and more with our dogs in public, we are placing demands on their stress thresholds that they just may not be able to handle. Owners have to also be wary of relatively new laws, such as the dangerous dog statutes. These statutes have very onerous consequences even for the dog’s very first bite, and tend to be overbroad from my standpoint. [Interestingly, Great Britain has had a dangerous dog statute for longer than most US states. A report has just been released wisely concluding that the statute is “inadequate,” and that the focus should be on laws on owner responsibility such as spay/neuter and leash laws in order to effectively reduce dog bites. Take a look at this BBC article, if you haven’t seen it already: http://www.bbc.co.uk/news/uk-11058613.%5D Rescues and fosters should be doubly mindful of their dogs’ limits, particularly considering the sometimes horrific backgrounds the dogs come from. That said about owners, law enforcement officers also need to be more educated on animal behavior. Dogs may show aggressive behavior solely to warn. Even if the situation is truly dangerous, officers could find a much safer way to deal with the situation than to fire a weapon in a public place. I’m an attorney, and my practice has been gravitating more and more towards animal law. I work and have regular contact with many local rescues, dog trainers, dog owners and others in the pet care industry. The one comment I’m seeing about this case from trainers and behaviorists is the fact that they see and treat dog-dog and dog-people aggression all the time, and have never had to even get physical with the dog – let alone it shoot dead. Dogs give plenty of body language if only you take the time to learn to read it. Quite frankly, owners and officers should do more to try. There are laws against discharging a weapon in public for a reason. It is only a matter of time before you are writing an article about an officer who shoots a dog and tragically and accidentally hits an innocent canine or human bystander. Pat, thank you for blogging about this. Stories like Parrot’s seem to be everywhere I look these days. It’s pathetic that deadly force seems to be used as a first resort by those charged with keeping the peace. Thanks for your advice on where to start locally, by asking pertinent questions regarding protocol and training, before it happens in my neighborhood (God forbid, PLEASE). Lastly thank you for all you do for all of us animals! When I read the story about Parrot all I could think about was what if everyone had the proper info on how to handle dogs. The small dog that was in the scuffle, Parrots hander, and I understand the man was fostering him?, and especially the cops! It is an example of the “system” failing Parrot. Sadly this is just another example of people over reacting, not understanding dogs and taking things way too far. We all understand things can happen, but being able to read the situation and react within the logical realm of sanity is one thing cops should be best at. Profiling and police is not new. When dogs become popular and especially when they become popular for being tough, they will have more than their fair share of substandard owners. Fad breeds never fair well, it just so happens far too many people use these “type” dogs for protection. I shudder to think of the isolated & punishment driven life many of these dogs in fatal bite incidents must have gone through. criteria that surrounds fatal or serious mauling dog bite incidents. Function of the dog is rarely spoken about. IF the dog was in a “home” with food and water, the police and press assume it was a family pet. Many of these incidents when they are investigated further show the dog was not socialized or treated all that well. Another big criterion is kids and dogs unsupervised. That with the above is a bad combo. Dog to dog aggression is a whole other ball of wax and all I can say is people mis read things way too much. Distance and situational awareness is your best friend when a dog is reacting with fear, aggression, anxiety or even big dog little dog combos. Simple stuff that needs to be taught at the door of every shelter in the US, and it is not. You mention back in `76 when Pit Bulls were rare, I can see that from much of the research I have done as well. I would however contend that not only dog fighters owned Pit Bulls back in the day. By Colby’s assertion in his book he says 5 out of a hundred dogs he bred MIGHT have that thing to make him a fight dog. It is estimated that he has bred over 5000 dogs, so give or take a few we’re only talking about a few hundred dogs at best since the mid 1800’s. This is just one man, I know there were and are others. These dogs are not all genetically predisposed to fight other dogs. This is why the ones who just have *it* are so rare and expensive. Breeding is a crap shoot. They know it and many dogs end up roaming, sold, given away, they make dogs, shelters get filled, euthanasia rates increase etc…and the cycle continues. Pat you also make a great point about old school dog fighters not having unstable dogs, people friendly dogs. It was a must. 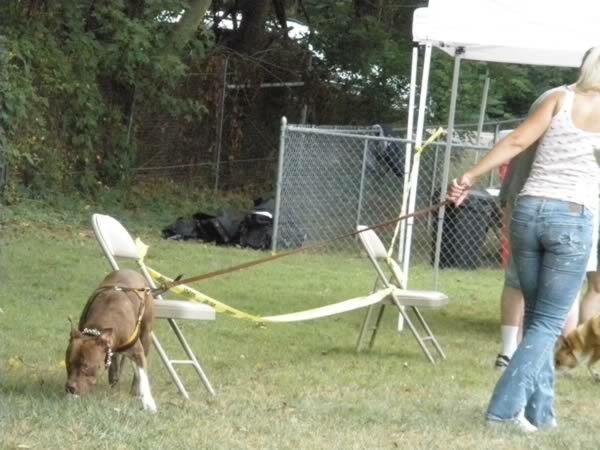 As with Pit Bulls being cattle dogs, they had to be very good in hectic situations and not redirect a bite to the handler. Many of the dogs that old timers bred were family dogs not fight dogs. They were just not so damn popular with criminals and people that are simply looking for a tough dog to protect or to defend something they have. Yes I know even back then dog fighting was a crime, perhaps not on the books but it was morally criminal. You mentioned the number of fatalities and the predominant number of Pit Bull type dogs, and I use the “type” until I have some type of verifiable way to identify the dogs breed or mix. You bring up a good point about breed ID being sketchy, and it is. I do not consider a mix a Pit Bull, it’s a mix. To that end, what of the other breeds that are involved? It should be about dogs and safety, not breeds and danger. Lastly the media has to get better. They are doing better, the Parrot story was headlined “dog killed” in the story I read, and the news cast I watched did not have Pit Bull in the title…but indeed they tossed it in during the story. Once they just say dog, and leave breed out of it we’ll be getting somewhere. One thing that we need more out here in dog culture is proper education in dog behavior and how humans affect it and how we should react to it. Thanks for helping people to help dogs! American Humane, a national expert on animal behavior and animal handling techniques, and the Tennessee Highway Patrol (THP) set a national precedent this week with the successful completion of the first animal temperament assessment training for law enforcement officers. The training, known as Bark…Stop, Drop, & Roll, came as a result of the much-publicized shooting of a family dog, Patton, by a Cookeville, Tenn., police officer during a routine traffic stop. More than 100 THP supervisors gathered at the THP Training Center in Nashville on Wednesday, Feb. 12, for the first of two days of training by American Humane. By the end of this month, approximately 200 state supervisors will complete the course. American Humane’s training, the first of its kind in the country, provides officers with the tools they need to accurately assess a dog’s temperament to diffuse or prevent attacks. “The Tennessee Highway Patrol has set an incredible benchmark for the rest of this country’s law enforcement to follow. They recognized a weak point in their training and proactively corrected the problem by becoming the first law enforcement agency to request this type of training. Captain Perry and everyone else at the THP deserve a great deal of credit for what they are doing,” says Sharon O’Hara, American Humane’s vice president of programs. Even though 60% of American households own pets — for a total of 60 million dogs — until this week no law enforcement agency required officers to receive training on animal behavior and how to respond to situations in which animals are present. Furthermore, when American Humane animal behavior consultant Dr. Emily Weiss asked the roomful of officers to raise their hands if they had been bitten by a dog, almost every hand in the room went up. In fact, according to the US Center for Disease Control and Prevention, each year more than 4.7 million Americans are bitten by dogs, and 800,000 of these victims require medical attention. In the animal world, body movements are the main form of communication. In the training, officers were taught to correctly judge an animal’s aggression level by studying its ear posture, eye movement, mouth position, body posture and stiffness, body thumps and jumps, tail position, and lip and tongue movement. “Most people incorrectly assume a wagging tail is an indication that an animal is friendly and means no harm. In fact, a wagging tail can actually be a sign of aggression. The worst bite I ever had was from a dog wagging its tail,” says Dr. Weiss. * Dominant aggressive animals are most likely to attack. They are characterized by ears pointed up, legs stiff and straight under the body, whites of eyes showing, low growling, and a stiff body and tail. * Fear/defensive aggressive animals attack only if they are afraid and have no way to escape. They are characterized by squinting or bulging eyes, ears laid back, rear end low to the ground, and tail low and possibly tucked between the legs. They often are very noisy in an effort to scare away their threat. * Prey aggressive animals are motivated by a desire to chase moving objects. They are characterized by ears set forward, tail above the spine and often wagging, high-pitched bark or whine, and back legs usually extended from the body. All three types can be easily diffused and deterred from attacking by following American Humane’s Bark… Stop, Drop, & Roll method. When an officer hears a bark, he or she should immediately stop forward movement. The officer should then immediately lower his or her eyes and assess the dog for evidence of aggressive posture. To dogs, a direct stare in the eyes signals a challenge. At the same time, the officer should take a sideways position, which is less threatening to animals. All these actions signal to the animal that the officer is not a threat and provide the officer time to get the situation under control. “The training is difficult for some officers because it goes against the grain of everything they learn in the academy. Officers are taught to take control of situations by using a deep, loud voice and assuming a ‘tall’ posture and looking the subject in the eyes — what is called a command presence. But to animals, these behaviors signal a threatening situation and may cause the animal to attack,” says Kerri Burns, a consultant for American Humane and former police officer. “In the animal kingdom, if an animal feels its life is in danger and there is no way to escape that danger, it will attack. It will bite,” adds Dr. Weiss. Law enforcement agencies wishing to know more about this training should contact American Humane. Great information – thank you Julie! Great post. It seems like another part of the equation is the ability to read dog body language and correctly interpret friendly versus unfriendly behavior. Classes or workshops to teach law enforcement personel would be helpful in this regard. Besides the bully breeds, it seems that the northern breeds are another group that people tend to be afraid of because they look so “wolfie.” Many of these breeds can also be somewhat aloof and hard to read. Thanks for the call to action Pat!! Thanks for the link to the petition – please keep us advised what else we can do!! Very informative; thanks, Pat. Signed and shared. I enjoying running and biking. I have been bitten three times and I can not remember how many times I have been chased while riding my bike. Within the past month while riding my bicycle, I have been chased by a group of three pit bulls and a group of three Shepard mixes. Those pit bulls could have killed me and it turns out they bit someone up the week before and had to be put down. How would you like to be riding your bike and have a dog slam into your wheel while barking and baring its teeth? I used to like dogs, I used to be a dog owner. At this point – i detest them. I do realize that these problems are owner problems – a dog will be a dog. If I am walking down the street and a dog is loose and territorial – it very well may attack. That is the owners fault. I don’t mind cops shooting dogs. I have no feeling for them anymore. They are just another dangerous threat. I hope more attack dogs get shot on the spot and the owners thrown in jail. Trust me, Joe, as a past animal control and humane officer (20 years with the Marin Humane Society), I am sympathetic to citizens who have to deal with dogs running at large and threatening their safety. And I have no problem with police officers shooting dogs who really are a threat to human safety. My gripe is with officers who shoot too quickly, and many times injure seriously or kill dogs who are not a threat, sometimes even contained on their own property. I’m sorry you now detest dogs – what a loss to your quality of life. What about me? I don’t’ feel endangered – I am endangered – by irresponsible dog owners. Well yes, dogs are great pets. The problem is the owners. My wife was training for a marathon when two dobermans chased and bit her up pretty good. The owners laughed and snickered during the whole ordeal. In my experience, this is typical. Seeing my wife covered in blood as she came in the door – made me kind of angry. I took it to the authorities and nothing was done. Today, I would hire an attorney and sue them for 7 figures. I am a former law enforcement officer and I am quite able to stop a dog using a gun. I choose not to carry one but it is highly risky even with Halt. Pat, thanks for making your first point. That’s often forgotten, I think — that these “vicious dogs” didn’t just come out of nowhere; the market operates on the law of supply and demand, and something created a demand for viciousness. The crackdown on dogfighting ended up, ironically, bringing it overground. It’s the Law of Unintended Consequences in action… and the short-sighted breed-specific legislation and breed bans are helping perpetuate that market. Well, and the sad thing is that while some shootings are certainly justified, many are a result of owner lack of responsibility, and some are tragic mis-readings of dog body language by law enforcement. Some, like the shooting of the dog in Missouri well-controlled on an animal control snare, are inexplicable. How scary a person like you is in dog rescue and knows so little about pit bulls. It is a myth that human aggressive pit bulls were culled from the fighting pits. Please do a little research and you will find champion fighters have not only been human aggressive but have bit humans and had to have special safety precautions taken in order to continue fighting and breeding them. Couple that fact with the rise in population of pit bulls, and the efforts of people such as yourself to put one in every home in America, and I think it becomes very clear why there has been an increase in police shootings and a general distrust of pit bulls. I am not outraged over cops shooting dogs that are uncontrollable. I am outraged over the volume of pit bull attacks that happen on people and pets every week, especially when people like yourself choose to do nothing about it except tell stories and make up excuses. It’s a very simple concept: there are more problems with pit bulls because of pit bull traits, and the more you put them into society the more visible these problems are going to be. To stop the problems you get a hold on the population and you educate rescuers and owners. Thanks for your thoughts. I am not a pitbull apologist, and I agree with you that education is a critically important part of the solution to this problem. I am not on any kind of crusade to put a pitbull in every home – not sure where you got that idea. In fact, I believe that owning a dog is a large responsibility, and pitbull ownership adds several layers on to that already significant burden. Hi, I am wondering if anything ever happened to Officer Fike? I just heard about this story on facebook. I hope he was disciplined but won’t be surprised if he didn’t. I can’t find a follow up anywhere. Thanks!